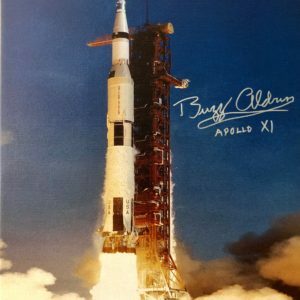 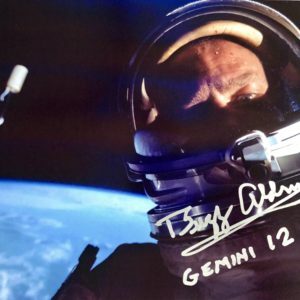 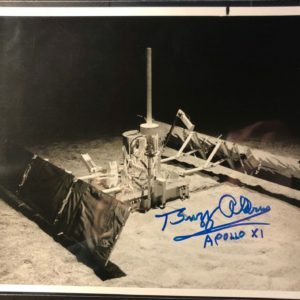 This vintage, first day cover boasts artwork Apollo 11 insignia and is signed in blue ballpoint by Aldrin. 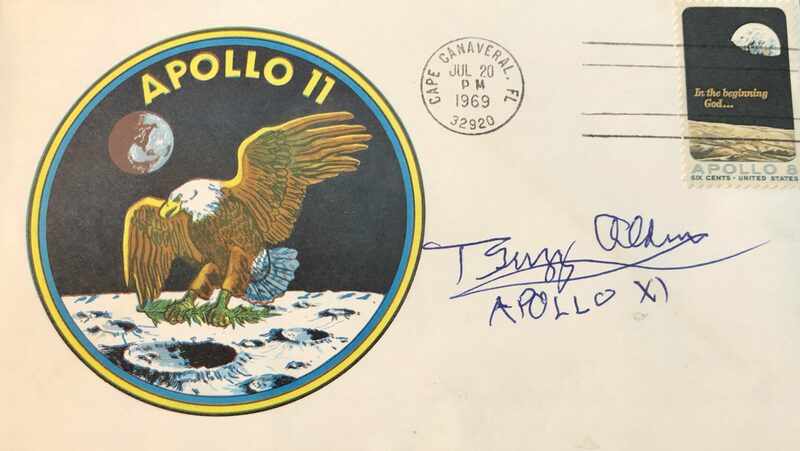 The cover is postmarked July 20, 1969, the date of the Apollo 11 moon landing. 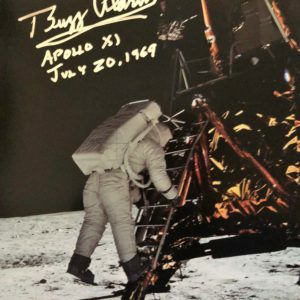 Uniquely, the cover is stamped with a vintage, Apollo 8 commemorative stamp, which is affixed to upper right corner.